“You have cancer.” About half of all men and one-third of all women in the United States will hear those words in their lifetime. That’s 40 percent of us. We each hope it’s not us, but hope is not a plan. And if you’ve heard those three little words, as I did, your life changes forever. But blaming yourself, retreating from life, and hoping for no recurrence, is also not a plan. Adding yoga to your daily routine—that’s a plan. And an effective one! An increasing body of research shows that yoga can help prevent cancer, and help cancer patients and survivors manage risk and side effects after treatment. As a breast cancer survivor, diagnosed in 2000, I have felt the impact in my own body after many surgeries, chemotherapy, and radiation. Yoga brings balance and alignment to all body parts and systems: muscles, bones, organs, and the mind. It’s a holistic path to wellness that focuses on interconnection. Here are five reasons why yoga should be in everyone’s cancer-prevention and/or cancer-recovery plan. The goal of strengthening the immune system is to keep all of the body’s systems working together. It takes a village: Failure of any one system threatens the health of the whole community. Cancer therapies that seek to strengthen the immune system are increasingly proving to be helpful in fighting a wide variety of cancers. Research shows that yoga boosts immunity. A 2013 study in Norway found that regular practice of gentle yoga and meditation had a rapid effect at the genetic level in circulating cancer-fighting immune cells. Mindfulness meditation also appears to change the brain and immune function in positive ways. Detoxification is the vital metabolic process by which dead cells and toxins (the flu virus, a rogue cancer cell, or another pathogen) are excreted from the body. Yoga is the muscle of the lymphatic system—the body’s plumbing and trash-removal system. Similar to how the heart muscle circulates blood, yoga increases lymphatic flow with specific breathing and movement practices. Inversions, a fundamental part of a strong yoga practice, utilize movement and body positioning to reverse the effects of gravity on our body, enhancing the process of cardiovascular and lymphatic drainage. Another way in which yoga detoxifies the body is through compression. B. K. S. Iyengar called it the “squeeze and soak” process, which cleans internal organs in the same way that a sponge discharges dirty water when squeezed. For example, abdominal twists activate internal organs and guide the release of toxins into the lymphatic system. Yoga detoxifies the mind as well. A survivor lives with the fear of cancer returning, and this daily anxiety is a mental toxin. We can detoxify the mind by using the movement of the breath, by relaxing into gravity in a restorative pose, and by quietly watching our thoughts in meditation. How are strong bones linked to cancer prevention? Our bones house bone marrow, where new red and white blood cells are constantly being produced. White blood cells are needed to form leukocytes, our natural cancer-fighting immune cells. If our bones are compromised from a break or from osteoporosis (a side effect of chemotherapy), so too is the production of a nourishing blood supply and immune protection. A pilot study by Kripalu presenter Loren Fishman, MD, applied yoga practice to sufferers of osteoporosis (decrease in bone mass) and osteopenia (reduction in bone volume). The results showed that 85 percent of the yoga practitioners gained bone in both the spine and hip, while nearly every member of the control group maintained or lost bone mass. I believe yoga is safer for strong bone building than many gym routines, because it puts weight on the bones in a precise, deliberate way. Cancer patients and survivors experience stress similar to that endured by military veterans. They are bombarded by frightening information, subjected to invasive procedures, and must endure cold clinics and blank stares. A 2009 study of cancer survivors developed and tested a concept that measures how we respond to “post-traumatic stress growth,” the positive flip side to suffering with stress. This growth occurs when people make the traumatic event a pivotal point in their life, changing their situation by making lemonade out lemons—ultimately thriving after cancer, for instance. The thriving survivor enjoys her blissful moments, which can lead to further change and the ability to find positive ways to manage stress. Yoga can enhance that positivity. The results of a 2009 study on the effects of yoga on emotions found an increase in positive emotions such as calmness and a sense of purpose in more than 50 percent of subjects. Women participating in a 10-week program of restorative yoga classes gained positive differences in aspects of mental health such as depression, positive emotions, and spirituality (feeling calm and peaceful), as compared to the control group. Obesity is a key, if not the largest, indicator of both cancer incidence and recurrence. In the United States, excess body weight is thought to contribute to as many as one out of five cancer-related deaths, and being overweight or obese is clearly linked with an increased risk of several types of cancer. The American Cancer Society recommends that obese individuals increase weekly exercise to 300 minutes per week to reduce the chances of cancer or recurrence. Research on the impact of yoga on weight gain is still in the early stages. One study showed that yoga had a more positive impact on obesity and depression than aerobic exercise. While yoga for cancer survivors often focuses on gentle or restorative yoga methods (which are necessary and beneficial approaches), it can and should be active, and therefore calorie burning—while also being safe, physically accessible, welcoming, and inclusive. Yoga can help cancer survivors manage weight gain, which improves self-esteem and the ability to function normally, and ultimately reduces the risk of recurrence and mortality. The benefits of yoga for cancer prevention are profound and well substantiated. For yoga teachers who work with cancer survivors and those in treatment, having specific knowledge about the benefits and modifications for this community is imperative. Teachers must understand the limitations and requirements in order to support this community to practice effectively and safely. 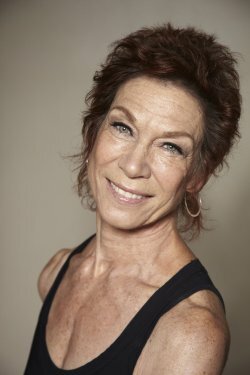 Tari Prinster, a cancer survivor, master yoga teacher, and author of Yoga for Cancer, developed Yoga4Cancer (y4c) methodology using contemporary research on cancer and yoga. Tari has trained more than a thousand yoga teachers and worked with thousands of survivors in her weekly classes and retreats. She is the founder and president of the Retreat Project, a nonprofit whose mission is to help underserved cancer survivors through yoga. Tari is a regular presenter at Yoga Journal Conferences, recipient of the Seva Good Karma Award 2015 and was featured in the film Yogawoman.